My answer is simple: none of them are better than the other. They are both great platforms that can take you to your desired destination. The differences between them will determine which one you choose, because each of them require different skill-sets. I used a car analogy to explain the differences to my mother, and she understood perfectly, so I’m going to use the same analogy here. The difference between the two is that SBI is a complete car that comes with personal support, a step-by-step manual, and all the tools you’ll need to get to where you want to be (i.e. have a successful website). Blogging on the other hand is more like the frame of the car. It gives you a platform to get to your destination, but you will have to find the missing pieces and put it together (or pay someone to do it). With that said, let’s look at both SBI and blogging in more depth. 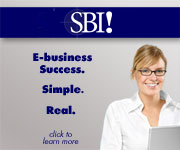 SBI is called by many names: Site Build It, SBI, and sitesell, but they all refer to the same thing. There are some restrictions to SBI, so it isn’t perfect, but if you’re not a programmer, you will most likely never even notice them. They’ve written about the differences between blogging and SBI themselves in great depth, so check that out if you’re interested. I have two SBI websites, which bring in almost $2,000/month for me, and I’ve used their tools, services, and hung out in the forums since 2007. Building a successful website requires a lot of hard work, like with anything else, and SBI is no different, but the tools are there. There’s more to that list, but these are some of the things I think are the most important. SBI also eliminates the need to worry about keeping your website up-to-date, making backups, fighting against hackers, and dealing with technical glitches. The natural question then becomes: why did I start blogging if SBI was giving me everything that I wanted? For the same reason you’re interested in blogging; everyone else is doing it, and it seemed like a lot of fun. Blogging is a great platform if you’re okay with having a slightly steeper learning curve, but more flexibility down the road. I personally love both blogging and SBI, and if you wanted to, you could do what SBI does with blogging. The most popular platform for blogging is without a doubt WordPress, and if you do want to blog, it is possible even if you aren’t technically savvy. Especially if you choose a good host with great support. I personally use HostGator for most of my sites. There are great step-by-step training programs out there, such as my own Lifestyle Liberation Academy community, where you get all the training you need + the support. All the information you need is available online for free, so if you’re willing to spend some time doing your research, you don’t have to join a training program, although I personally recommend you do, because it saves a ton of time. If you’re not tech-savvy, and want to get as far away from anything technical, I recommend SBI. If on the other hand, you like blogging, and don’t mind getting your hands dirty, then blogging is for you. In the end, it all depends on what you feel drawn towards, and what you want to do. There are no magic bullets. There are no secrets. There’s just the work you put in. Never tried SBI but I’ve heard a lot of good things about it! Just the fact that you’re making $2k a month from your SBI sites is enough to make me want to try it, but how is it any different to me just going out and building my own site on my own domain. Is it really that much better and are the forums and tutorials they have that good? It’s not different at all. They simply provide all the tools in one place, and make it easier for you to build a successful website. If you already know how to do keyword research, structure a site, and deal with the technical details, then you don’t really need SBI. Their action guide does walk you through the process of finding a niche to making money, so I would say yes, they help you with all that, and there are always plenty of people in the forums that can help you. 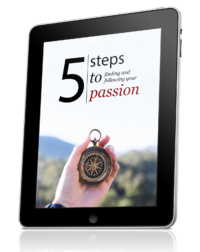 In summary, they help you with everything that goes into building a website around your passion that makes money. Henri that’s great to know, because for beginners SBI is probably the way to go. With all the extras they will get, I know from experience that blogging can be overwhelming if you trying to do it all by yourself. I am happy to be able to communicate with someone who has gone the SBI route because I have been wasting a lot of time stumbling around trying to figure out what to do next. I started the whole internet marketing/blogging thing when my business went belly up 6 months ago. SBI was the first thing I ran into and I was going to go with them until I started to get into WordPress because I really like all of the great looking blogs out there, yours included. The problem is that I am so strapped for cash that I can’t even afford a premium theme and don’t have the tech savvy to pull it together any time soon, though Lynda.com is helping in that regard. I was wondering if you might give me your opinion on a general direction I am thinking of going. I am a personal trainer and I want to build a local business website that will be largely content oriented and geared toward boot camps and a variety of fitness products. I thought that it might make sense to go with SBI on that one to shorten the learning curve and get an income stream going. My blog is more intellectually oriented and geared toward spiritual matters so I thought I could get the tech chops I need down in the meantime and be writing posts for that while I earn enough money with the boot camp business to eventually focus strictly on writing. My question is, does SBI provide the tools and support I need so that, given maximum time and effort input on my part, I can get their website functioning in a fairly short time–say a month or so? I won’t have to do any of the keyword research business because that is all predetermined. I just wanted to get the objective opinion of an experienced SBI person who is no longer so much part of that tribe, so to speak. Thanks for any help that you can give me. Your blog is very good. I will subscribe. SBI does provide the tools you need, and if you want a blog later, there’s a way you can add that to your SBI site. If you put in a few hours a day, you should easily have a website up and running within a few weeks. Although I still do recommend you do some keyword research to see what words people are using to search, but that is just a general recommendation since I don’t really know what you want to do. I hope this helps. If you have any specific questions, feel free to e-mail me and I’ll help you out. Hah, it’s sometimes very funny for me to read posts like that. I mean, yeah, there’s plenty to learn from ’em but there’s always this ultimate message: there’s a ready product that will help you better, so you’ll be better off buying it. Of course, you can do a research but it’s easier to simply buy it. And then I want to buy it. But I can’t ’cause I don’t have money for it. So I type in the location bar problogger.net and continue the research and save links and tips in my Google Notebook. Yup! It’s always faster to buy a complete solution, but like you said, it may not always be a match for you. In that case, do whatever you can to rock! henri, a little off subject of the post I just got done reading your e-book passionate living. I was a little dissapointed you recommended that begining bloggers stay away from wordpress as that is how I plan on building my bloggin empire heh. slowly building traffic to my free site and using affiliate marketing to help me pay for hosting. Your book was fantastic, I also had a stint where I thought I could make my living playing online poker and could not carry it out like you did. I got bored way to quickly and would give away all my cash. I cannot believe how simple you break it down to start getting traffic to a new site. I am following your model you showed us and going to see what happens. 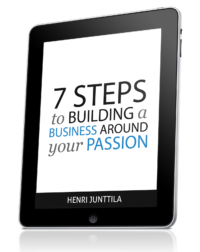 For those of you just discovering Henri and thinking about getting a carreer started blogging. I strongly recomend his book “passionate living” A simple guide to doing what you love. 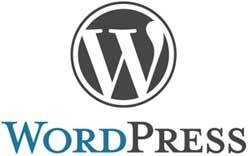 I don’t remember that I recommended that, but anyway, if you’re a beginning -blogger-, then definitely go with wordpress, because if you want to blog, wordpress is by far the best option to go with. What I usually say is that if you’re not technical, then blogging can be a tougher path, but like I said above, it all depends on what you want to do and learn. Blogging is a lot of fun if you don’t mind learning a few technical things, and how to put all the pieces together. How did you make your second sbi site work, did you do article marketing for it? Is this 2k pre tax? 2. I was curious to how it works. I now blend together big niche sites, article marketing, and blogging into what I call hybrid websites. I too got your Ebook and really got a lot out of it. Good job. I’ve also read about a zillion blog post/tutorials, etc. and hardly ever heard about SBI. It just seems a little weird…or a trend on the rise? I’m glad you enjoyed Passionate Living! SBI has been around since 1997, and it’s natural not to hear about SBI if you bump into a lot of blogs. Bloggers like blogging. I do too, but I also like building websites. It’s important to weigh the options and choose something that fits with you though. $2000 a month from SBI – thats awesome Henri! Never heard about Squarespace. It looks great for getting a blog up, but doesn’t seem to have the keyword research tools and so on. But yeah, WordPress is fantastic if you don’t have problems with the technical, which I’m sure you don’t. Awesome to see you here, Anthony. Keep rocking! I tried SBI but joined at a time when their available templates weren’t yet the new CSS 3-column dealies…and I found the look/feel of the sites so terrible…so I kept plugging away on learning the skills they taught while figuring a way to apply them on my own. I remember Ken Evoy, the founder/head of SBI, consistently made clear points about how building an evergreen content-based website was a better way to generate online income than a blog. He really hit this point hard–that a blog wasn’t the best way to go if you’re trying to generate an online income. But as I’ve kept moving and finding other folks making it work online, it definitely seems like either approach–the SBI content-based site or a straight-up Blog–can provide a worthy platform for a successful business. It’s cool that you’re doing both and doing well at both, Henri. Thanks for leading the way like that. Yeah, the old templates left something to be desired. I joined when they weren’t around, but I found a few good free CSS templates so it was cool. I agree with you completely: you can succeed with a blog or a website as long as you have the right information, and are willing to work hard. Thanks for the comment, Matt, and I hope you’re doing well!